Work crews were chipping away at projects outside Rogers Centre on Wednesday as Blue Jays president Mark Shapiro was busy weighing in on the team's construction plans inside the stadium. While the downtown facility will get a new roof this off-season and some other tweaks in and around the venue are planned, the heavy lifting will be done at the team's training facility and stadium in Dunedin, Fla.
Shapiro unveiled plans for a $80-million US project that will triple the size of the current facility and give it a much-needed facelift. "I think we're going to have overall the all-around best facility in Major League Baseball when this is done," he said. Ground is scheduled to be broken next month and the goal is for project completion by February 2020. Nearby Dunedin Stadium will also get a significant update, with 3,000 seats to be added and a boardwalk to be built around the ballpark's perimeter. The county will contribute about $41 million of the overall cost. The Blue Jays will pay about $20 million and the state will pay about $13 million, with the city providing the remaining $6 million and the land. A 25-year lease will begin when construction is completed. "It's shifting from that really old-world spring-training facility to a modern, state-of-the-art facility that ultimately provides us opportunities for competitive advantages, and allows us to help really grow our culture and grow our alignment from minor league to major league," Shapiro said. 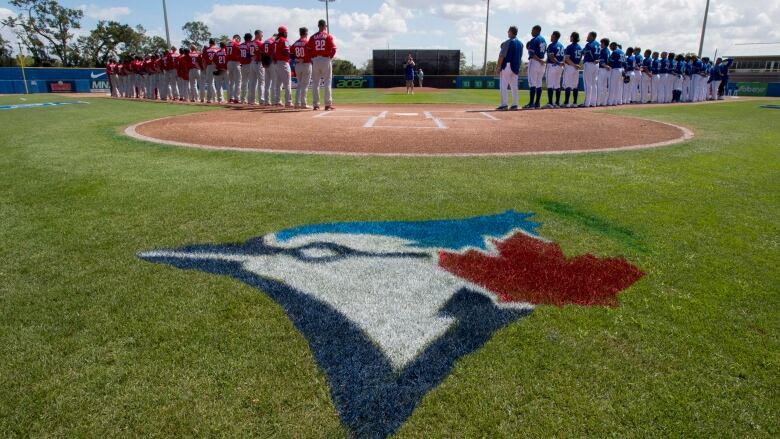 The Dunedin Blue Jays of the Florida State League will be relocated for the 2019 season and will likely play at a nearby stadium. Shapiro outlined artist renderings during a sitdown session with local reporters, providing details on everything from field replacement plans to hot tub placement to the stadium facade. "It's a major competitive step for us to go from a bottom facility to a top-tier facility with the opportunity to continue to grow as it goes on," he said. In Toronto, meanwhile, waterproofing and concrete repair work was underway just outside Rogers Centre. The team also plans to touch up some areas around the concourses, redo some concession stands and build a new premium space on the 300 level behind home plate. As for the roof, it will get a new membrane this off-season and have the same look as before. The artificial turf will likely need an upgrade in the next year or two and the possibility of adding natural grass in the future appears to be slim due to the high cost. Shapiro also chimed in on a few baseball matters during his 90-minute availability in a stadium boardroom. "Pitching is clearly a priority as we look at building the team moving forward," he said. "The right kind of players around our young players is also really important. So I would expect that either as this year closes out or as we move into the New Year, there'll be some activity before we get to spring training. "The roster will not be the same when we get to spring training as it is now." The Blue Jays are coming off a 73-89 season and missed the playoffs for a second straight year. More pain is expected over the next couple years as the team builds around a young core. Shapiro said he expects payroll to rise once the team is on the verge of contention. "Ultimately right now, probably one of our greatest advantages as we build the club moving forward is that I think we'll have more flexibility than any other team in Major League Baseball after next year," he said. "That doesn't mean we're not going to spend. We are going to spend. It just means [GM] Ross [Atkins] and our baseball ops group have a lot of flexibility as to where they allocate the dollars and when they do it and how they do it. That's an advantage."